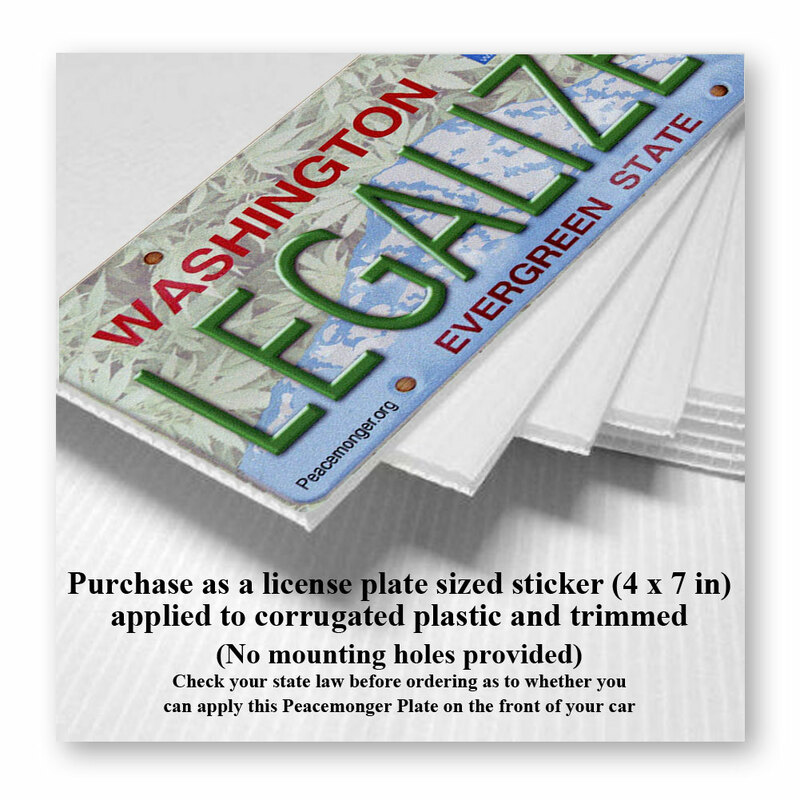 This 4 x 7 inch actual license plate sized item is made with our usual high quality vinyl and ultra high resolution digital printing. 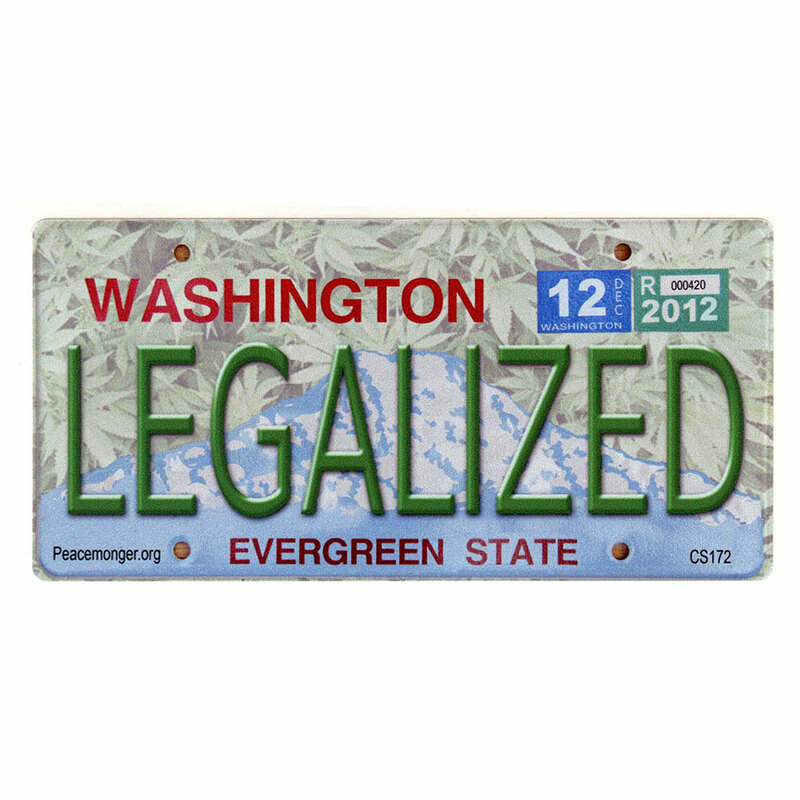 Applied to durable corrugated plastic backing, this Peacemonger license plate may not be legal, but it celebrates and salutes the eight states as of November, 2016 who have passed recreational pot laws. 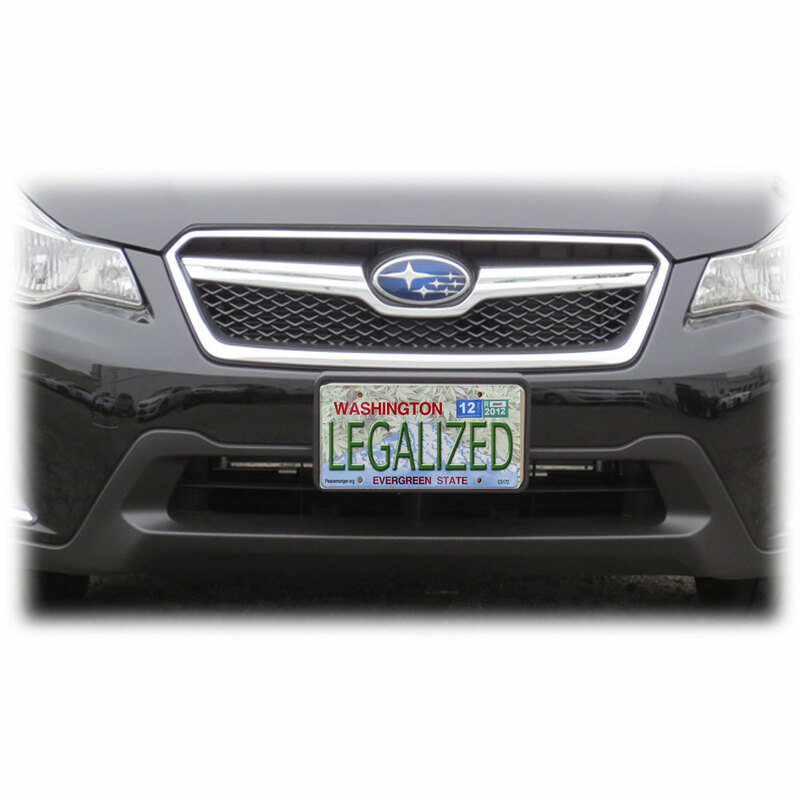 Professionally trimmed to the approximate size of most license plates. This does not have any holes for mounting however you should easily be able to create them. Make sure to use a washer on the outside of the plate and make sure your state law allows decorative license plates on the front of your vehicle before your purchase. 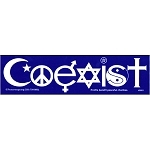 Also available as a 3 x 6 inch bumper sticker here and on a mini sticker 4-pack here.